Hans Christan Orsted’s discovery that electricity generates a magnetic field led to the development of electromagnets. Electromagnets are bundles of wires wrapped around a ferrous core. When electricity flows through the core, the iron magnetizes. When the electric flow ceases, so does the strength of the magnet. Electromagnets are integral parts of trash-lifters, alarms, cars, planes and trains. Last year, I worked on transitioning my science curriculum from reflecting the McREL standards to NGSS standards. The NGSS standard MS-PS2-3, namely the student can ask questions about data to determine the factors that affect the strength of electric and magnetic forces, lends itself to the exploration of electromagnets and electric motors and generators. 1. Students observe that electricity causes a magnetic field. 3. Use the scientific method to set up experiments which may answer raised questions. 4. Students isolate and analyze the factors which change the strength of an electromagnet: number of coils, size of ferrous core, and thickness of copper wire. With my standard and objective out of the way, I went straight for materials: copper wire, batteries and bolts. I had all of this laying around the makerspace, but you can pick up enough for a class of 20 for under $30. A better way would be to ask your families to donate old wires from computers, printers, etc (most of ours came from an old printer wire) and bolts from their junk drawers. Next the students and I engaged in a series of small experiments and projects. Each experiment asked a pretty specific essential question, scaffolded so each question built upon the last conclusion. How can I make my electromagnet stronger? Which parts of the electromagnet make it the strongest? Can I make a weak electromagnet? How would I use this to create a machine? Some of these questions were answered with experiments, while others were answered with maker projects. 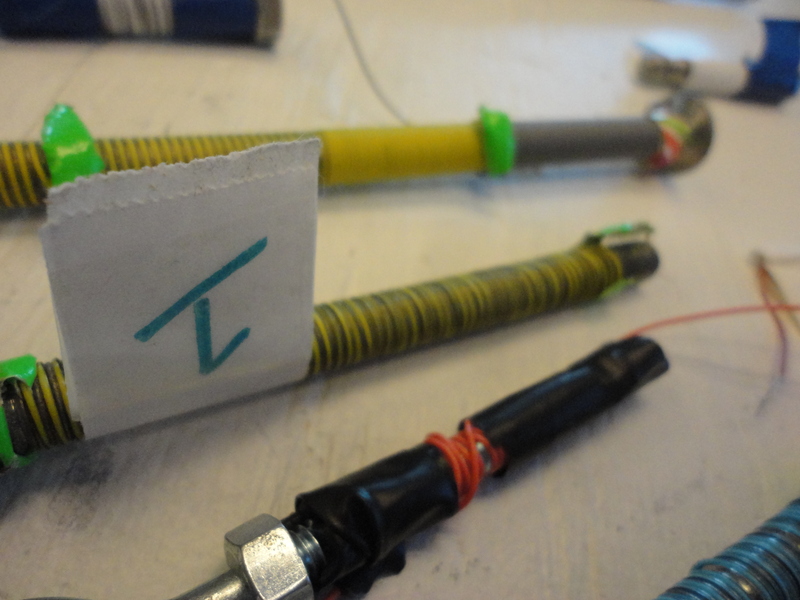 For example, the electromagnet discovery was a maker lab – we simple made various electromagnets and tinkered with the final result. On the other hand, we used the scientific method to discover how the number of coils, size of wire and core, etc, affect the strength of the magnetic field and measures those effects. Formative assessments are mostly informal check-ins on project quality, whereas my summative assessment was a rubric-graded exercise at the end of the unit. My students had many different levels of success, but all showed positive learning growth. Curt Gabrielson’s book, Tinkering, is an invaluable resource for electromagnet based projects. Can you create a mouse trap catapult with an electromagnet trigger? How about using the electromagnet to make a dangling paper clip dance? There’s endless project possibilities.